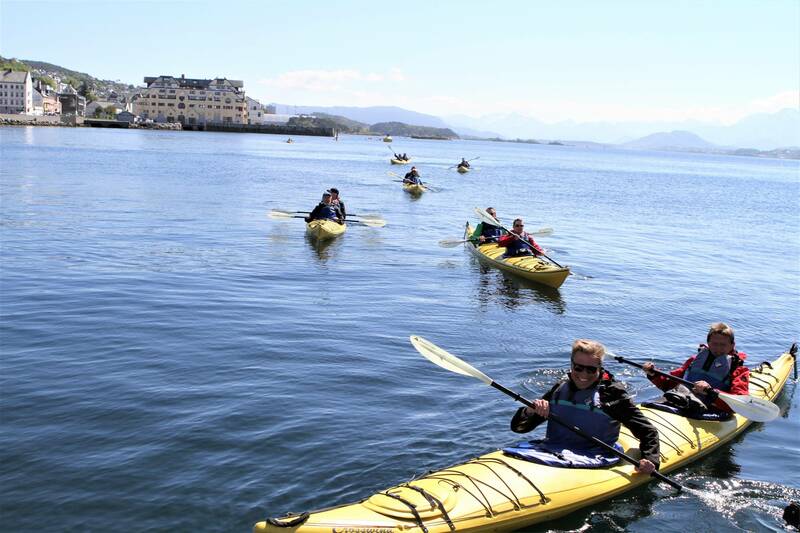 A Circumnavagation, Keep Ålesund on your Left! 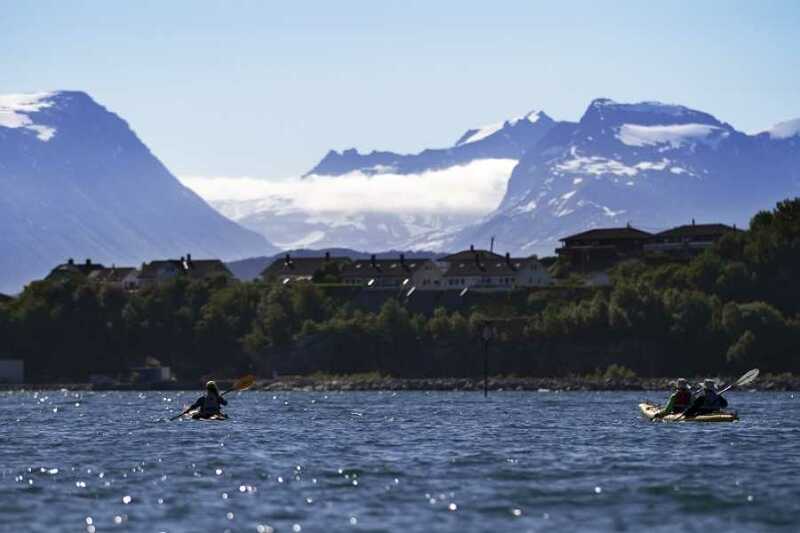 Escape the city! 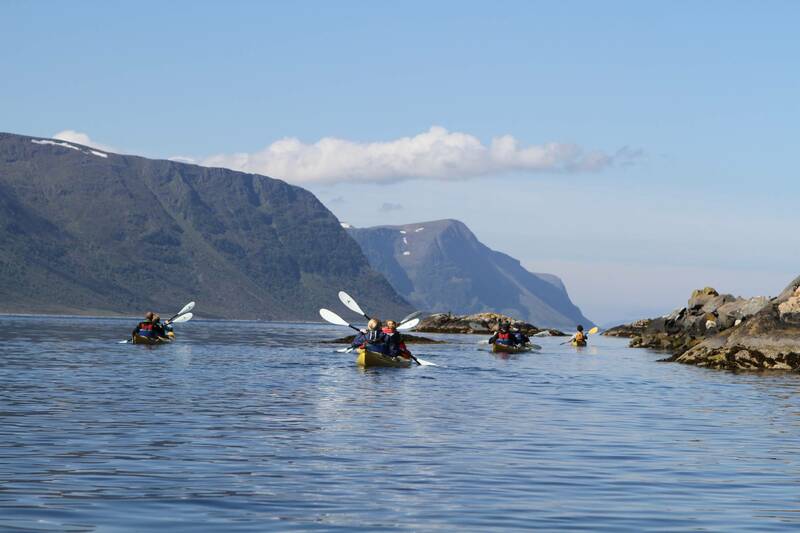 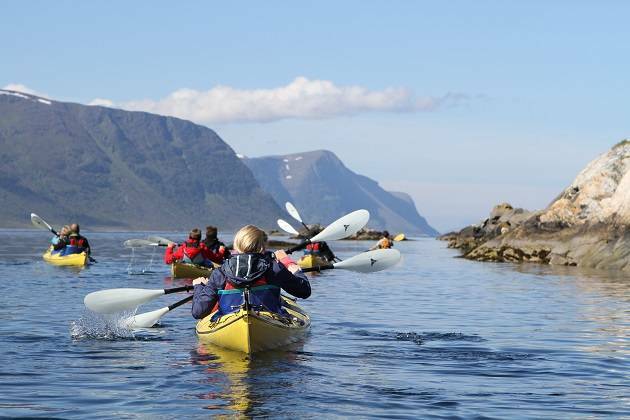 Borgund Fjord, keeping the southern city sights, sounds & smells on our left we paddle its glistening waters; floating through Nørve Sound to the entrance of Ellingsøyfjord with its fairy tale islands. 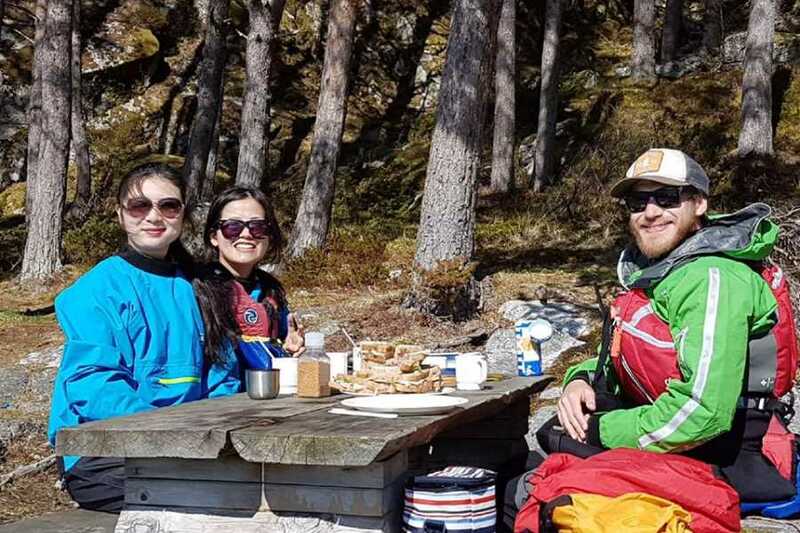 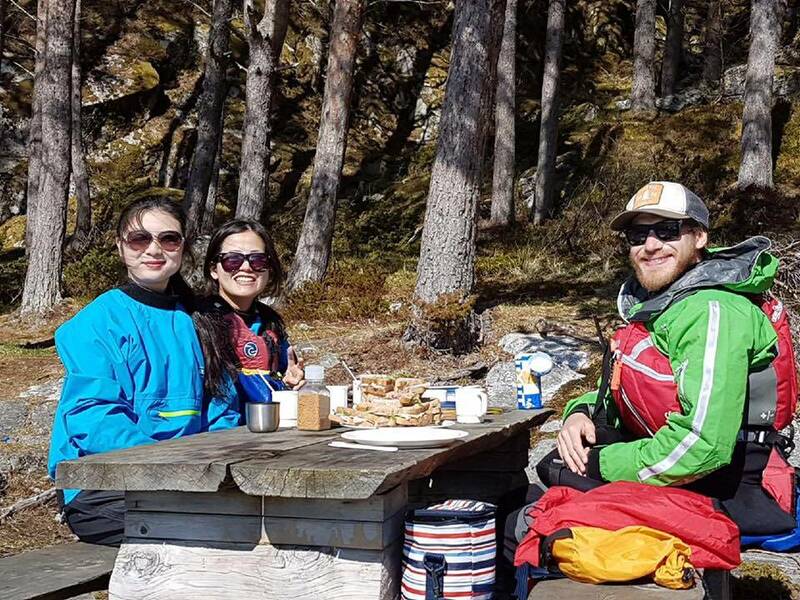 We Enjoy a wholesome picnic lunch on a lush green island seemingly miles from urbanisation. Jumping on the water again heading west with Ålesund still on our left we complete our circumnavigation passing by her northern harbour guarded by its 175-year-old navigational beacon and the last remaining buildings of Old Ålesund, we seek out the Asp Island bridge the entrance to Ålesund’s Southern harbour. 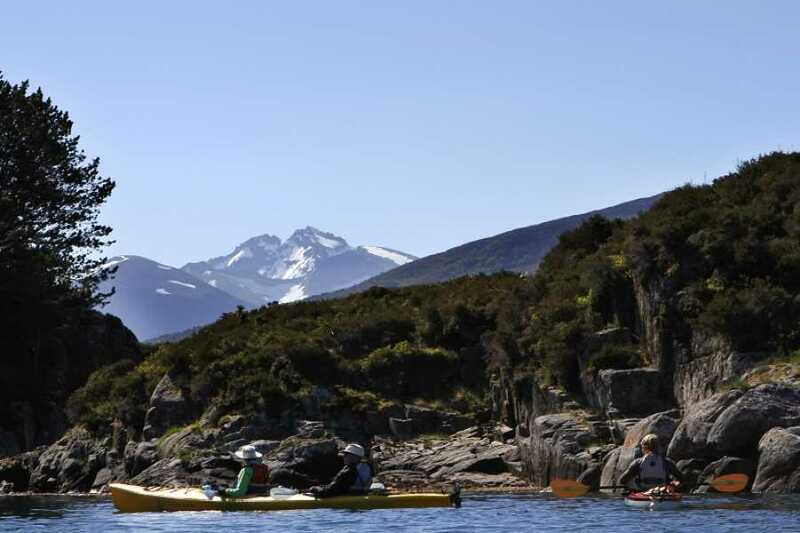 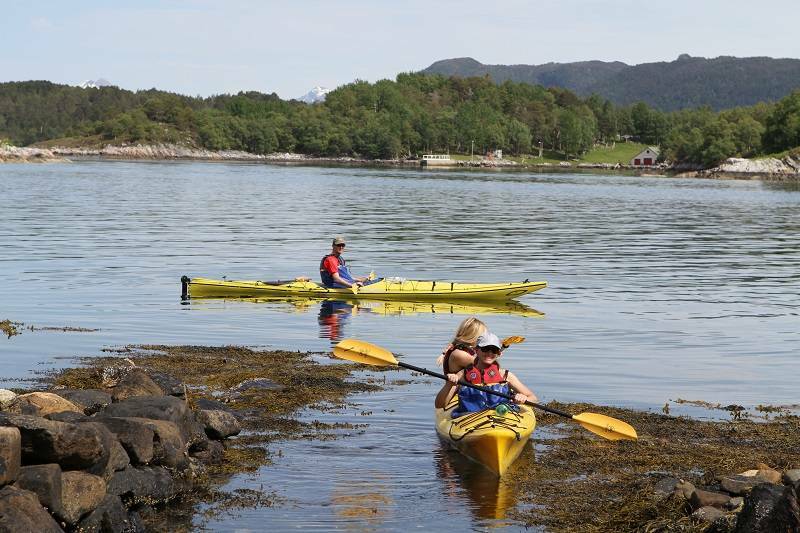 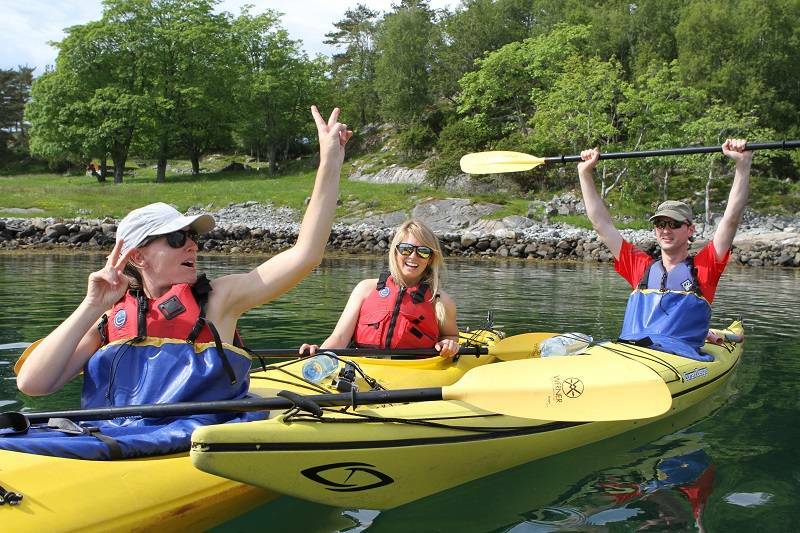 Our kayaks glide easily through the harbour, past a 103-year-old historical landmark, and on towards our take-out point; finally, with the city’s southern skyline chiseled on a seemingly painted backdrop of the majestic Sunnmøre Alps our landing site comes into view.